Protect your baby’s face and neck and give your pram, stroller, high chair or car seat an instant facelift with the Babychic Strap / Harness Covers. 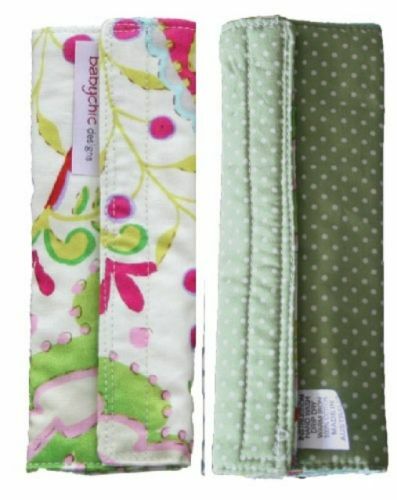 The Babychic Strap / Harness covers wrap around your pram seat belt straps and simply velcro closed. Made out designer fabrics they will give any pram or stroller an instant lift. Reversible, with a thick printed medium weight cotton and a 100% cotton velour so mum can chop and change the look of her pram in an instant. 2. Wrap the cover around the harness and secure velcro closed. 3. 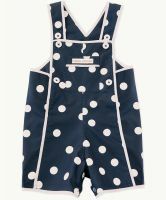 Can be used on any baby harness or strap including baby capsules, strollers, high chairs, prams, car seats. Outers 100% cotton, Inner 100% cotton. Wash before use. Cold machine wash only. Do not tumble dry. Do not bleach. Do not dry clean. Cool iron if required. If the liner becomes damp from spills ensure the liner is removed and dried prior to storing. Matching stroller blanket, pram handle bar cover and newborn insert avaiable in our BabyChic Designs Range.